The new iPad. 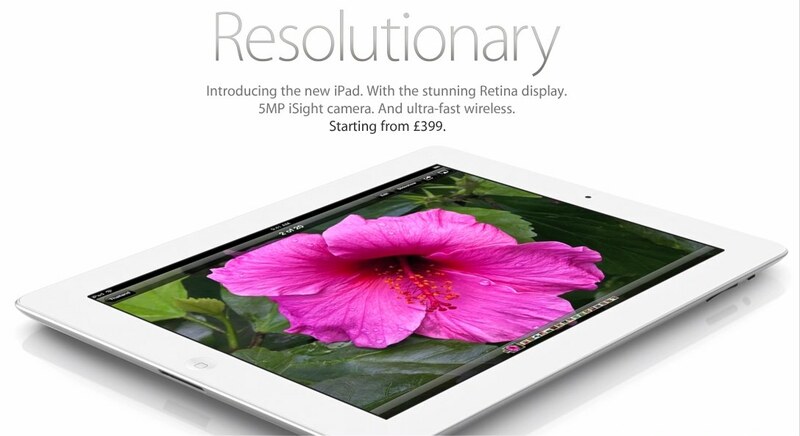 Announced on Wednesday the first surprise was the name – iPad. 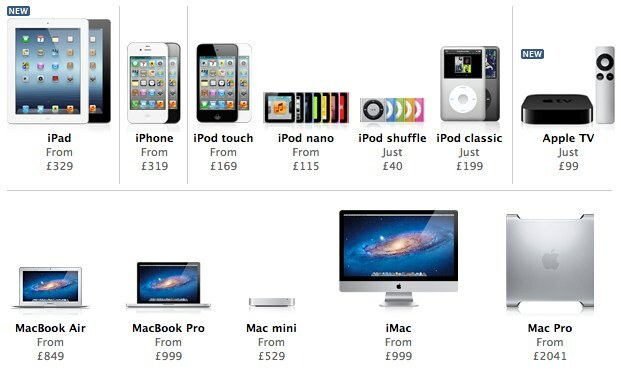 In hindsight it was obvious when you look at the rest of Apples product range – iPod Touch, MacBook Air, iMac and Mac Pro. It can lead to confusion when selling on your old gear but it’s a clean way of dealing with product ranges, especially compared to the latest Galaxy Incredible Supreme IV. Standout new feature is the retina display. The display on the iPhone 4 when compared to the 3G or 3GS was such a step change and I expect the same on the new iPad. In fact it still boggles the mind that this time next week I’ll be using a 9.7 inch screen which has 2048×1536 pixels. Thats around 50% more pixels than a 1080p TV and getting close to my 27 inch iMac. Boggling. To power that step change the quad core graphic processor got the headlines but I think the 1GB of ram will be just as important. 4G LTE got headlines but is basically pointless in the UK. We may see HSPA+ later in the year in the UK but I don’t expect much. The camera looks to be of iPhone quality and while handy to have I’m not sure how much I’ll actually use it. With that extra screen I wondered if battery life would suffer. It’s great to get around 10 hours from one charge and if that had been impacted it would have been a real negative. However battery life is the same. How? The new iPad has a 11,666 mAh battery, 70% larger than the battery in the iPad 2. A 70% larger battery but impressively weight has only increased by 49g. Thickness by 0.6mm. Disappointing was no Siri but a cut down version offering dictation. I’m looking forward to seeing just how successful this is with my Scottish accent. I’d also liked to have seen storage take a bump. 16gb will get used up pretty quickly with apps growing due to the retina display. How big will newsstand magazines be now – most come in around 500MB at the moment. I hope this calls for a rethink in how they are being produced and distributed. Anyway, I’d liked to have seen 32, 64 and 128GB options. Maybe next year. The upgrade for me is a no brainer. I’m still using an original iPad so the upgrades – screen, speed, camera and the joy of a smart cover are ones I can’t wait for. Amusingly the new iPad will also be thinner (3.6mm) and lighter (a whole 68g) compared to the original that I currently use. I’ve yet again went for black, 64GB and 4G. I do have a lot of apps and content so that space will be well utilised. While I could have used hotspot on the iPhone, I prefer to buy cheap Three sims from Amazon and eBay. It’s worked well for two years, I’m not tied to a contract and it keeps options open should the UK mobile speeds pick up over 2012. The new iPad looks to be a great update for me as an original iPad user though I can understand iPad 2 owners having a harder time justifying the upgrade…until they see that screen. Roll on March 16th. I have an iPad2 and agree, remembering the step change the retina display took in iPhone format, I’m already pondering the new iPad. Don’t need it really but… well we will see!